After hitting a double, the runner goes for glory and tries to stretch the hit into a triple. A throw, a slide, a cloud of dust, and everyone shouting their opinions; the final call is normally decided by an umpire. But for a pickup game among neighborhood kids, there is no official umpire. So, who makes the call? Knowing my friends, this would have been the end of the game, but a young Howard Martinez found his own solution to this problem in the 1970s. During shop class he made a small wooden bat. He and his brothers called it the “peacekeeper” because whoever held the bat had the final say in any disagreements on the field. Howard grew up outside of Los Angeles in a working-class, baseball-loving family of four boys, three girls, and their mother and father. Howard’s father, Leopoldo “Leo” Martinez, was an amateur baseball player in Texas, Mexico, and Southern California for about 30 years. In the 1940s, prior to becoming a U.S. citizen, Leo played shortstop for the Mexican National Baseball Team. “There wasn’t a lot of money in the house with seven kids, so you had to take care of the stuff you had,” recalled Howard in an interview with Margaret Salazar-Porzio, curator of Latina/o History and Culture in the museum’s Division of Home and Community Life. In addition to the fundamentals of the sport, Leo taught his children innovative solutions to the problems they encountered playing their favorite game—everything from avoiding disputes to stretching out the life of equipment. During the interview, the brothers spoke fondly of how this problem-solving mentality filtered into their lives both on and off the field. As well-used bats may do, the peacekeeper eventually cracked. Instead of making or buying a new bat, Howard used a trick he learned from his dad to fix broken wooden bats. Prying apart the splintered pieces, they filled the crack with a special glue, hammered in a few nails, and then wrapped the bat in electrical tape to keep it all together, “so the bat was basically as good as new,” Howard said. The Martinez boys would attend baseball games and ask to have any splintered bats. They would take the bats home, fix them up, and use them as their own. Other kids in their neighborhood wondered how the Martinezes always had expensive bats on hand. Just as important as baseball bats are baseball gloves. 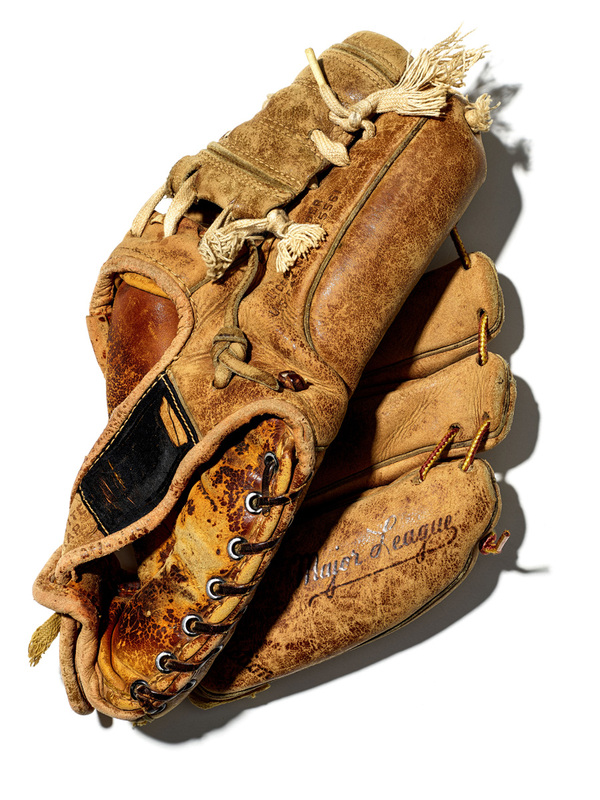 And inevitably, just as a player is really wearing in a glove, the stitching wears out or falls apart and a new glove is needed. The Martinez boys never let a broken leather stitch keep them from playing. Instead, they found a way to solve that problem too. With a few machinists in the family, the Martinezes made strong metal needles to reopen closed holes in a glove’s tough leather. The needles needed to be large enough to hold leather straps, shoestring, or anything else used to restitch a glove. Some of the family’s solutions revolved around comfort. The Martinez family did not always have access to the best baseball fields, which meant that sliding could be quite a harrowing experience for baserunners. Concha Martinez, with the aid of her husband and children, would make pads out of old quilts or curtains to sew into pants, in order to make sliding more comfortable and to avoid those dreaded raspberry burns. During the days of wool uniforms, which became uncomfortable in the hot Southwestern sun, Leo would line the inside of his jerseys with cotton for comfort and breathability. Though faced with obstacles and inconveniences, the Martinez family, and many Latino families across the country, innovated and found ways to continue playing the sport they loved. These are just a few stories from a single family, but they reflect the innovative spirit inspired by baseball at the heart of Latino communities. Luke Perez is an intern in the Division of Home and Community Life. He graduated with a master’s degree in Art and Museum Studies from Georgetown University in summer 2017. Click here to learn more about the museum's Latinos and Baseball initiative.